Conventional wisdom holds that the theology and social ethics of the Reformed tradition stand at odds with concepts of natural law and the two kingdoms. 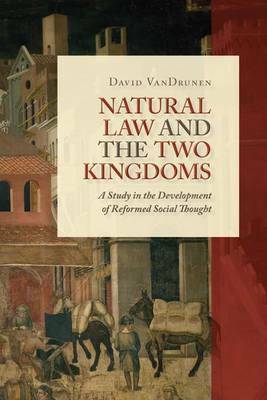 This volume challenges that conventional wisdom through a study of Reformed social thought from the Reformation to the present. David VanDrunen is the Robert B. Strimple Professor ofSystematic Theology and Christian Ethics at WestminsterSeminary California, an ordained minister, and an attorney.